Fish, as with all living organisms, are susceptible to a number of diseases. One such disease is Finrot. It is a truly debilitating condition that every pond or aquarium owner must be on the lookout for, because once this condition sets in the life of the fish is in serious jeopardy. However, the good news is that this disease is treatable, but you must first be able to recognize the symptoms when they appear. What Are Symptoms Of Finrot? Fish that are suffering from Finrot will develop a texture on their tail or fin which is white and or milky in appearance. The fins may also become ragged as the condition begins to consume the tissue. If the fish remains untreated its fin membrane will be completely consumed, until all that remains are fin rays. At this point the condition may spread into other areas of the fish’s body. 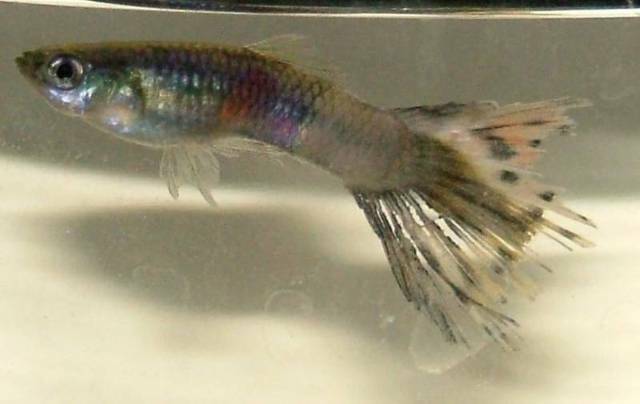 Finrot is particularly troublesome because its presence can lead to secondary diseases, which place the health and life of the fish in even greater danger. It is for this reason that it is so important to detect Finrot as early as possible. Finrot is an infection which is bacterial in nature. Many fish experts and veterinarians believe that multiple types of bacteria may cause this disease, particularly Flavobacterium columnare. Other possible bacteria which causes fish rot are Pseudomonas or Aeromonas. Fish become vulnerable to this condition when they live in a pond or aquarium that is not regularly cleaned or properly maintained. Sometimes a fish suffers physical damage which comes from a parasite. The wound that results makes the fish susceptible to bacteria which can then bring about Finrot. The good news is that despite being bacterial in nature this condition does not appear to be contagious. This is important for aquarium or pond owners because their fish often live together in groups which mean that any contagious condition could put the lives of all the fish at risk. How Can Finrot Be Treated? Finrot can be treated in 3 ways, and often all three methods should be employed simultaneously. These three treatment methods are the application of antibiotics, changes in the environment, and the application of anti-bacterial substances. Of the three, changing the environment is the most important, because if this step isn’t taken the other two approaches will largely be in vain. The aquarium or pond in which the fish reside must be cleaned. Start by changing the water and getting rid of the debris. Investigate the filters and gravel to make sure they are in pristine condition. Once this is done, anti-bacterial medications can be used to treat fish that display clear signs of fish rot. The fish which are ill should be isolated from the others, and antibiotics can then be used. However, antibiotics are best reserved as a last resort, and should only be used with supervision from a veterinarian or a fish care specialist.